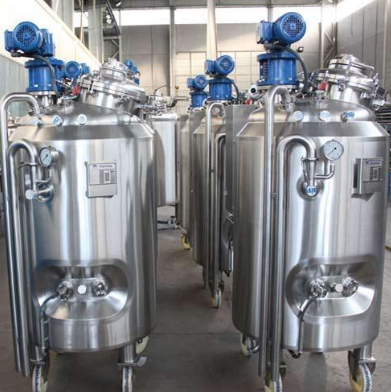 In the Process Industry, many chemical reactions are carried out between liquids / slurries and gases, Traditionally, such gas-slurry reactions have been carried out with the help of equipment, where basically, an agitator was used to stir the liquid in the Reactor. This somewhat clumsy method resulted in less than satisfactory performance, due to non-ideal mixing, which led to poor catalyst suspension, negligible gas-liquid interfacial areas, as well as low heat and mass transfer coefficients. An Omega Kemix Gas - Induction Reactor offers a radial change from this conventional approach. Instead of churning the liquid reaction mass, a hollow agitator pumps gases from the head space to the lowest part of the Reactor vessel, as shown in the picture. A specially designed impeller vigorously disperes these gases into the reactor bottom, resulting in a mixture akin to a boiling liquid. Gas bubbles react with liquid/slurry as the as they rise.